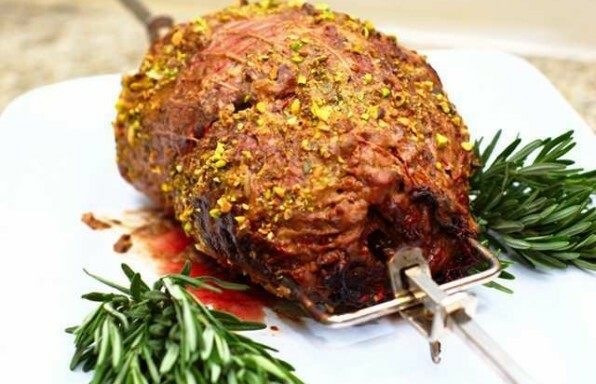 Lamb may be a fancy food to eat, but can be very simple to cook, especially on the grill. Loin chops are the most tender and leanest of the variety of available lamb chops. Although a little more expensive, these lamb chops are worth the extra cash and can be easily identified by the T-bone. 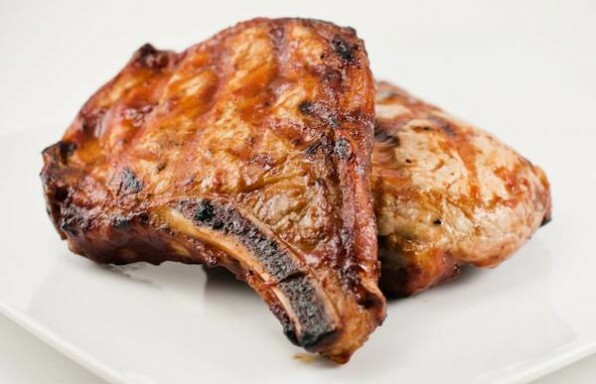 When grilling lamb chops, it is best to trim the excess fat from the edges of the chop to reduce flare ups. Don’t worry about removing flavor, it’s not this fat but the marbled fat throughout the meat that adds flavor. Our recipes will tell you how to clean, season, prep and grill your lamb to perfection. Whether you are using gas or charcoal, grilling lamb chops, leg of lamb or rack of lamb, we have tips and recipes for each to make grilling lamb easy and delicious. I found a New Zealand boneless leg of lamb at my local grocery store, butterflied and rolled, wrapped in a mesh, just begging to be thrown on the rotisserie.